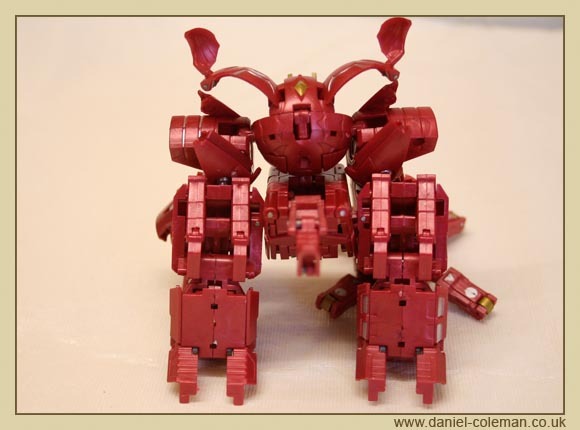 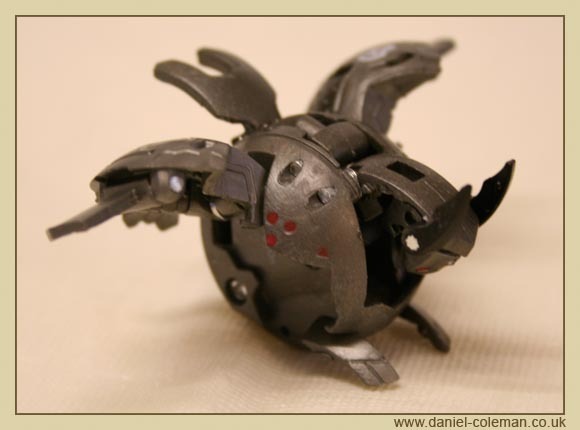 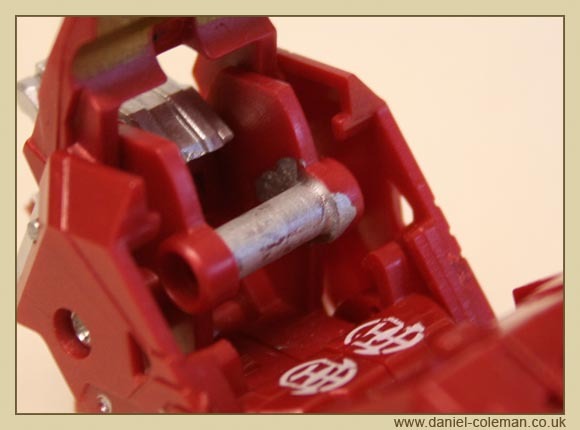 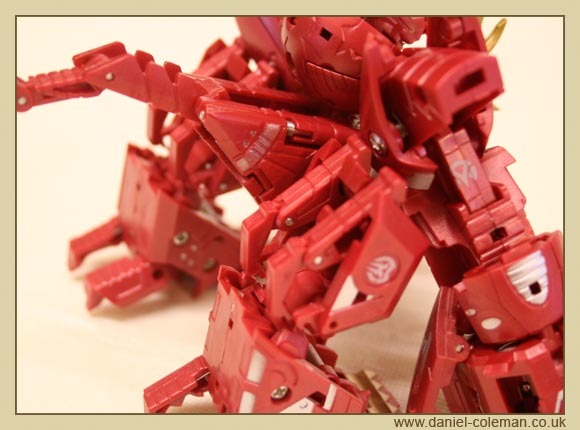 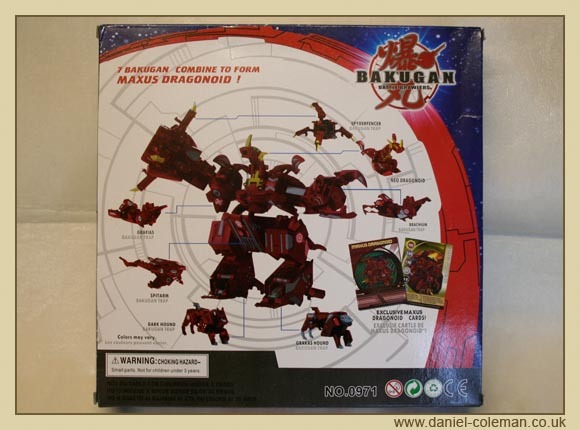 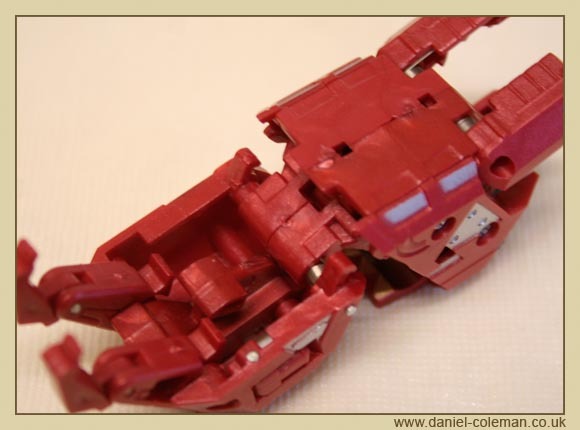 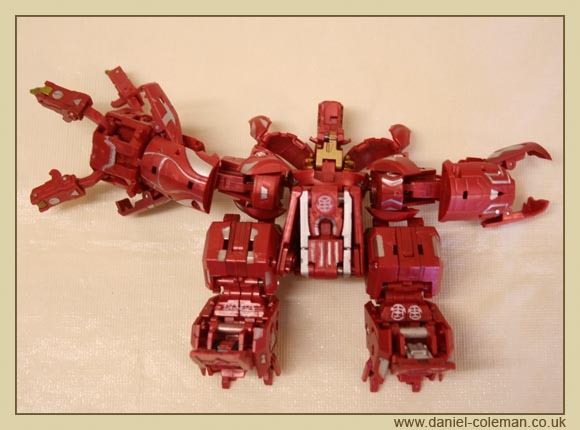 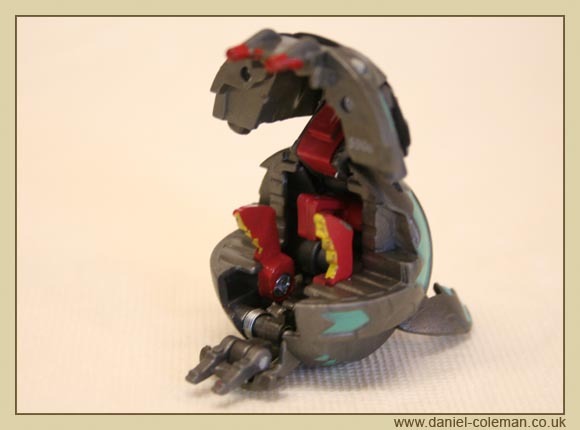 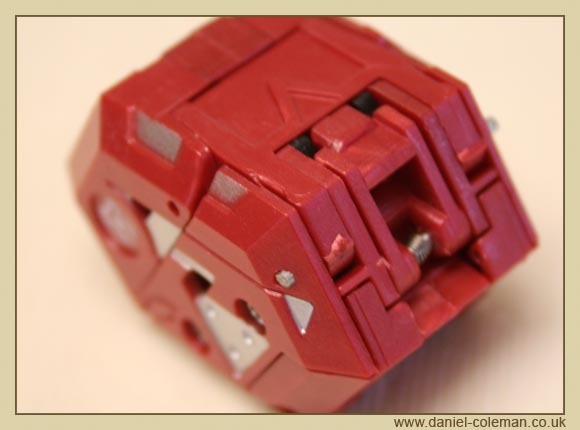 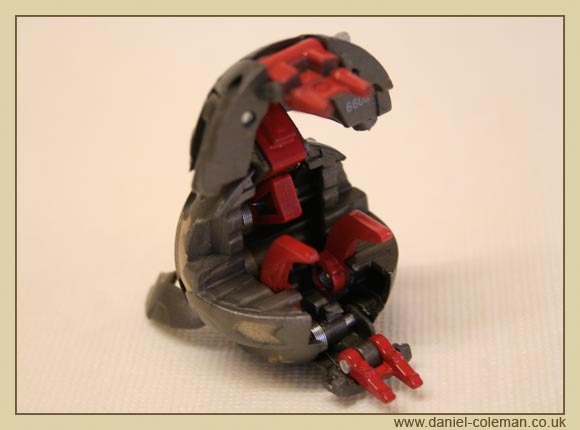 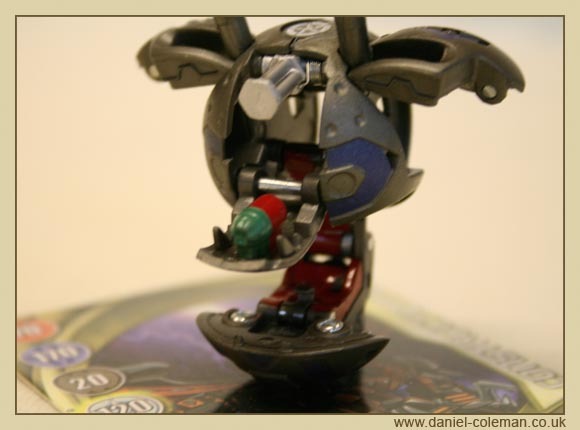 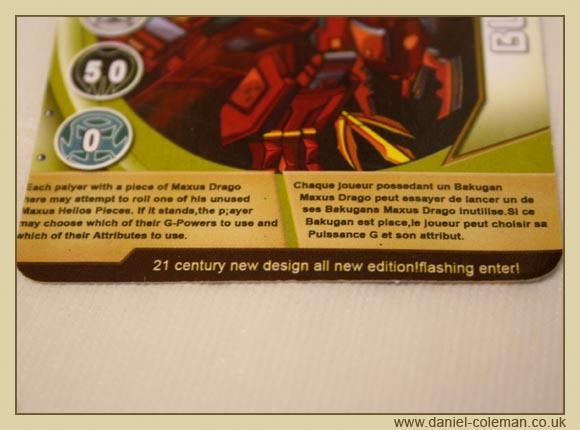 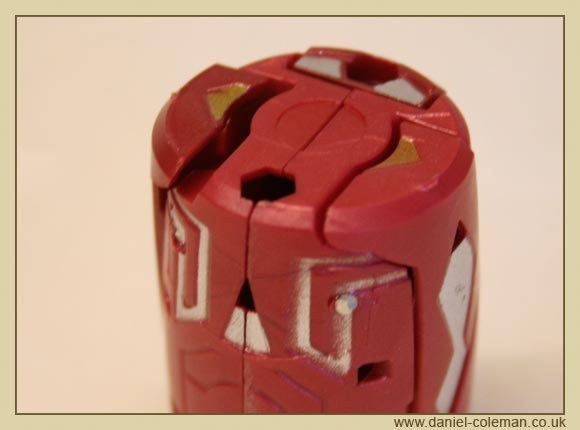 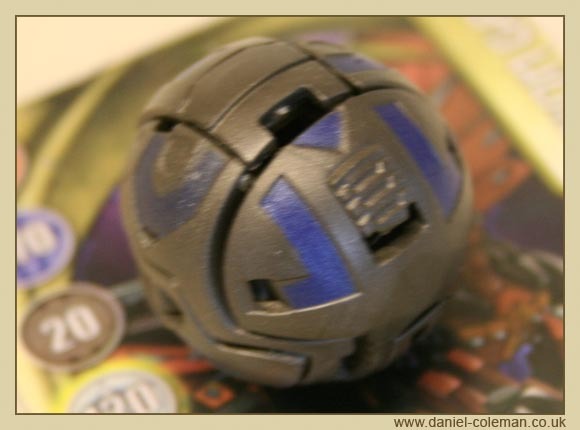 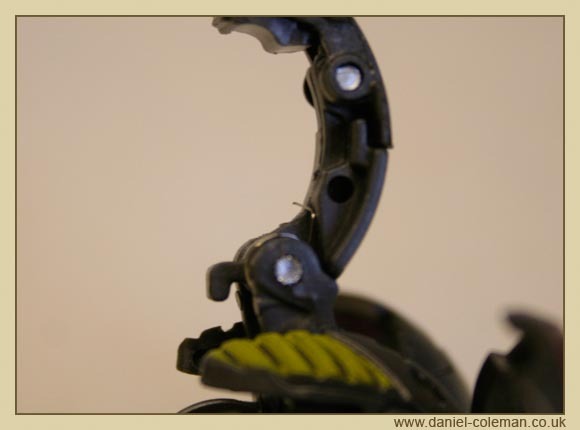 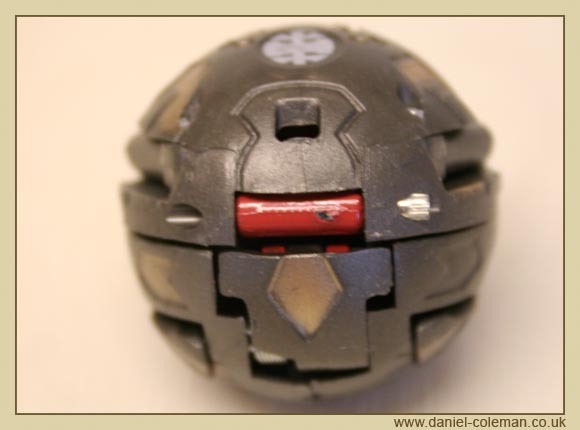 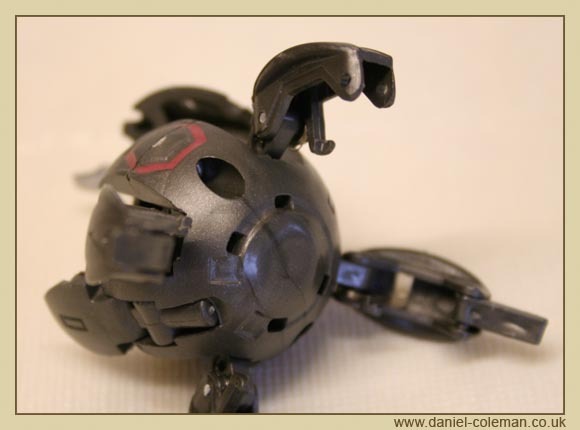 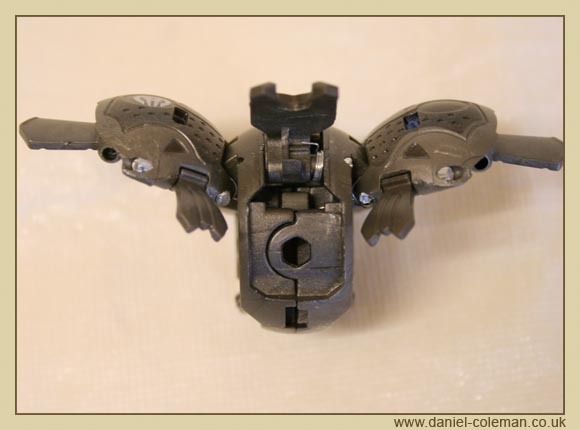 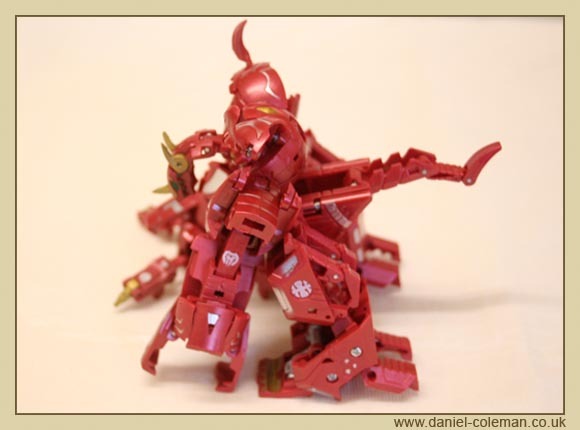 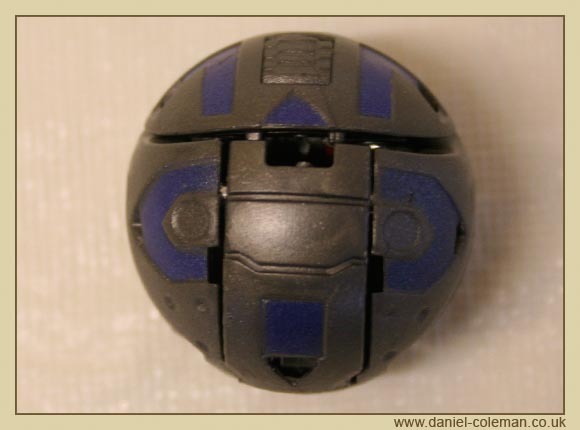 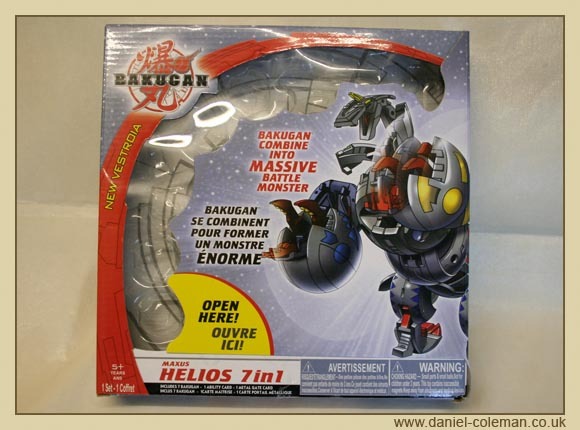 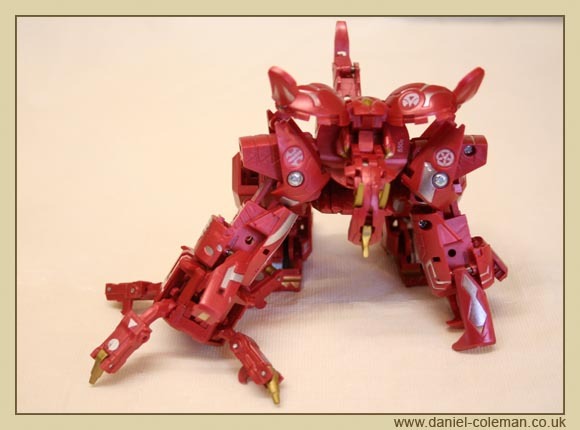 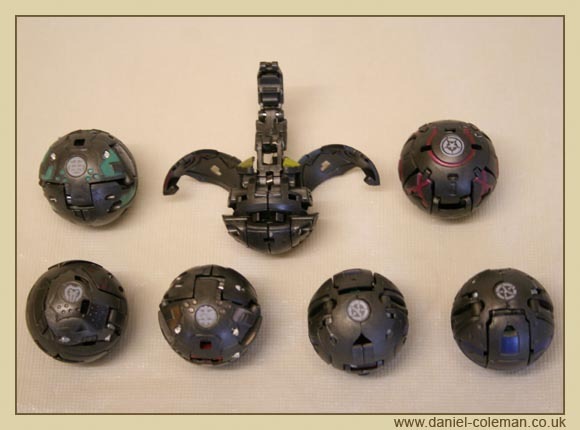 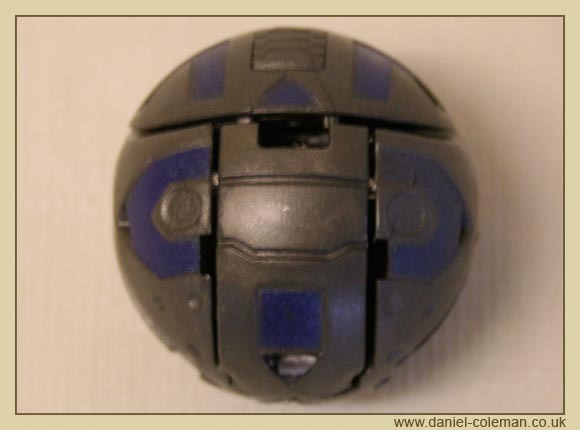 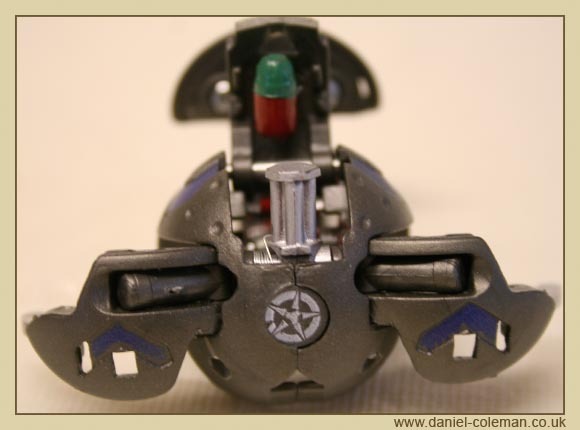 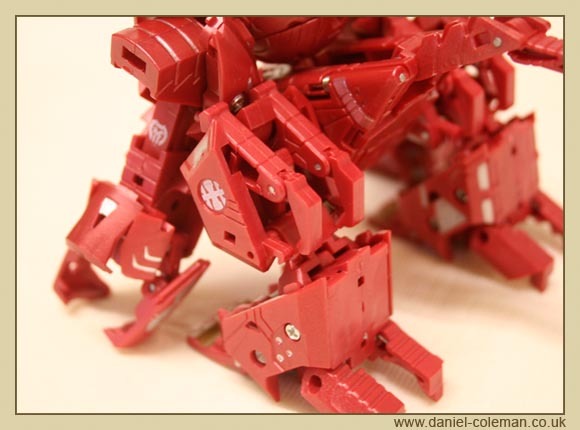 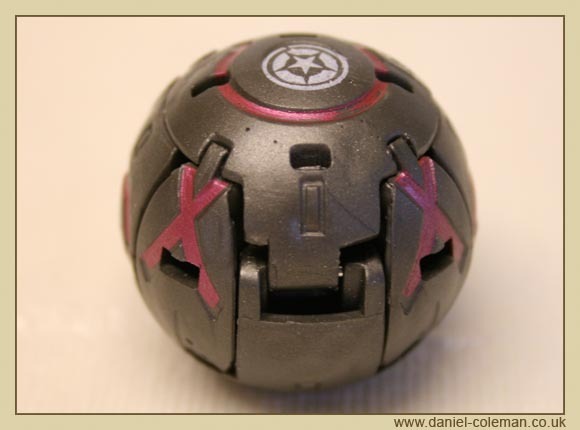 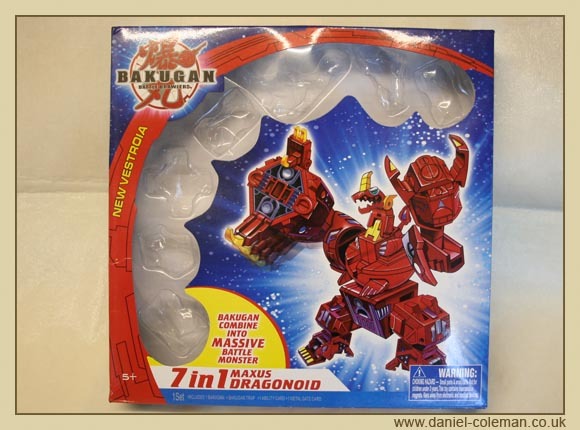 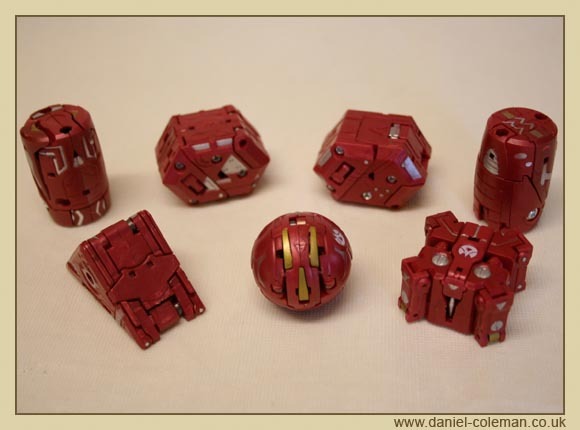 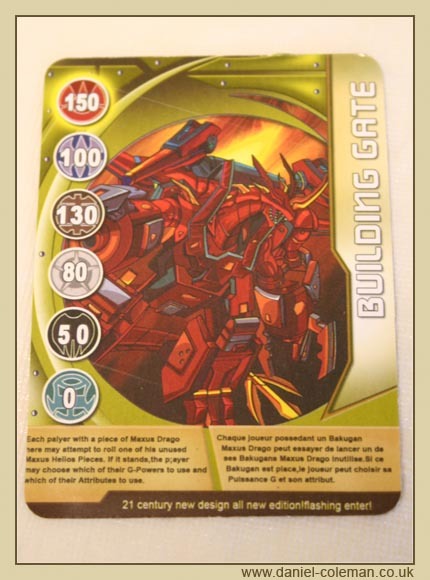 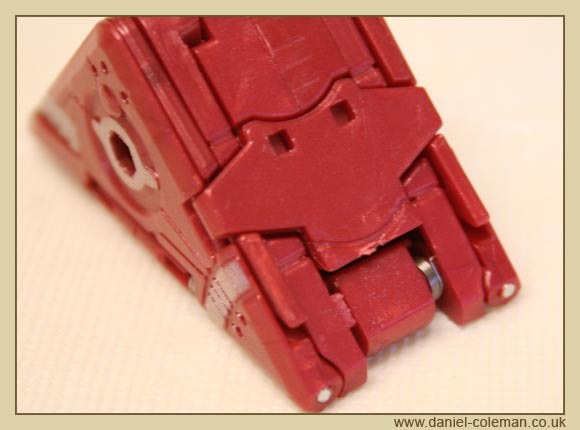 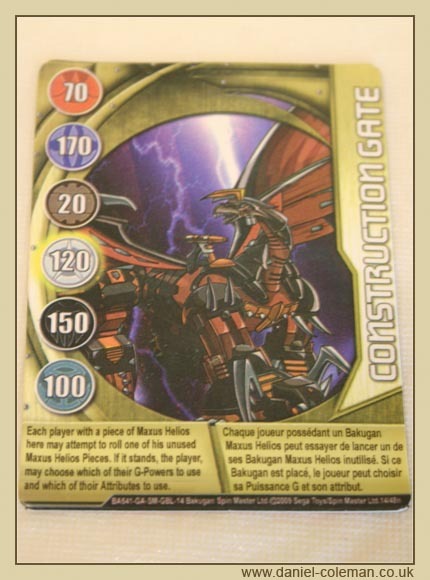 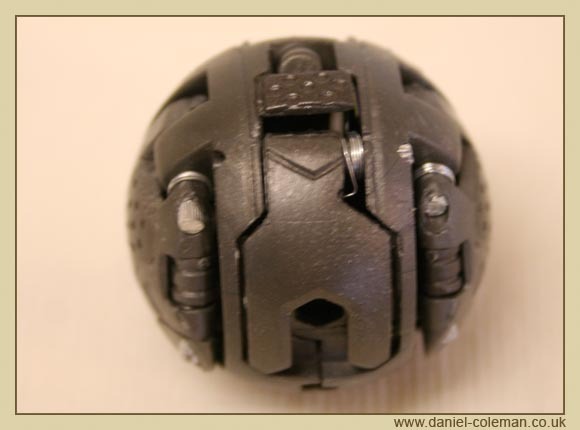 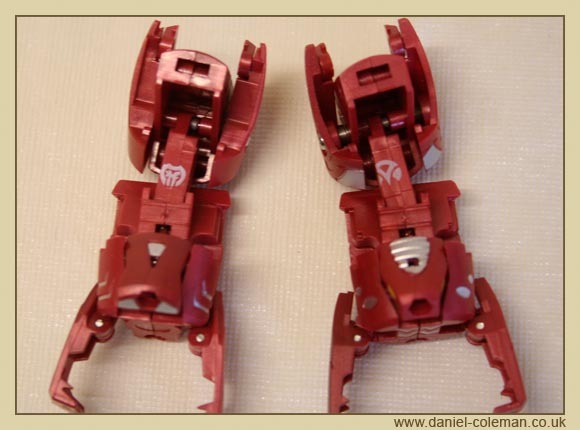 Hopefully this page will highlight what to look out for in the way of fake or counterfeit Bakugan Maxus Dragonoid and Maxus Helios. 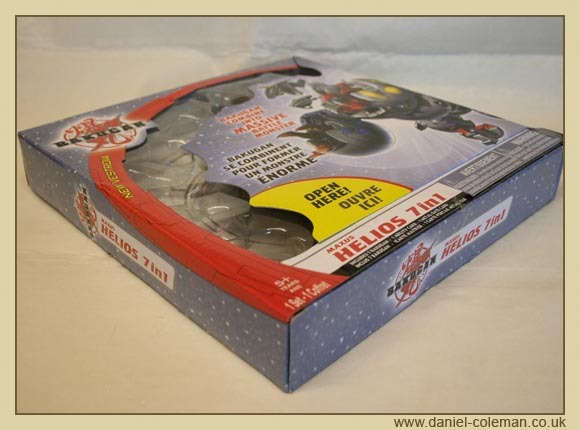 It was the purchase of these fakes (initially through ebay) that very nearly ruined a young boys Christmas 2010. 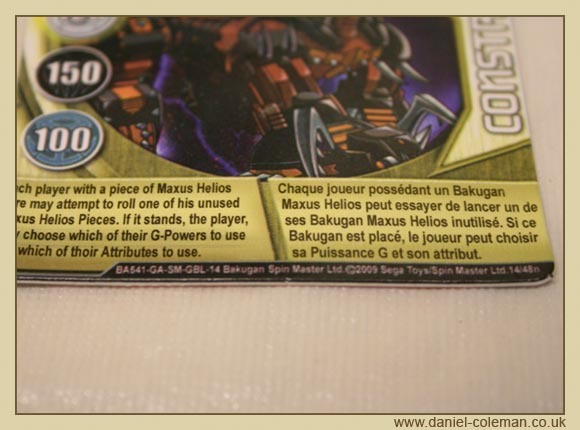 Images of the genuiune versions can be seen here. 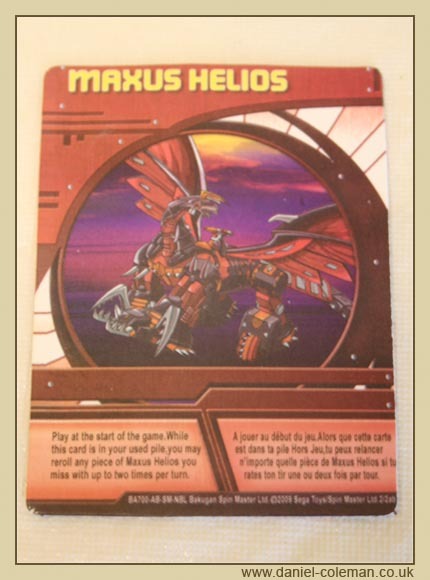 Seeking to find the originals through a second order from Amazon, a fake Maxus Dragonoid was dispatched by an independant trader but a genuine Maxus Helios was sourced from a (UK) high street branded toy store. 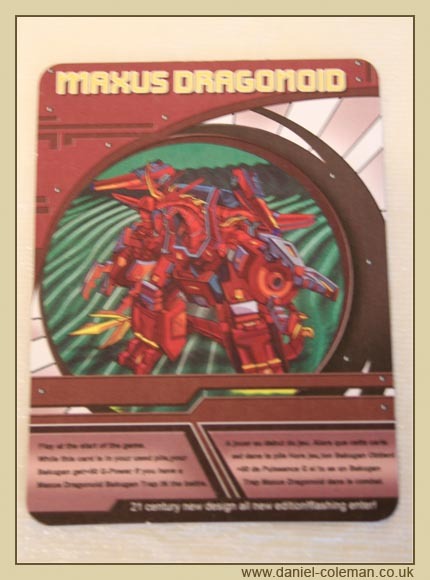 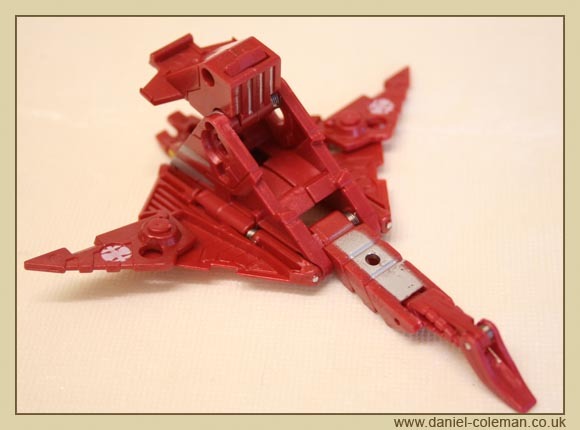 On the third time of trying, a genuine Maxus Dragonoid was eventually bought on ebay (unwanted Christmas present). 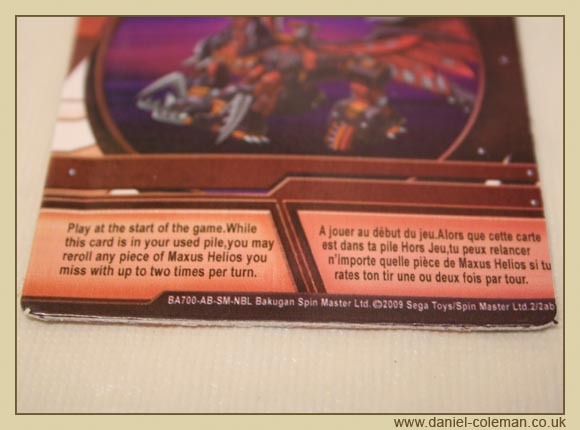 Many of the errors and faults listed below were observed and by a boy who'd only seen the toys on internet review videos. 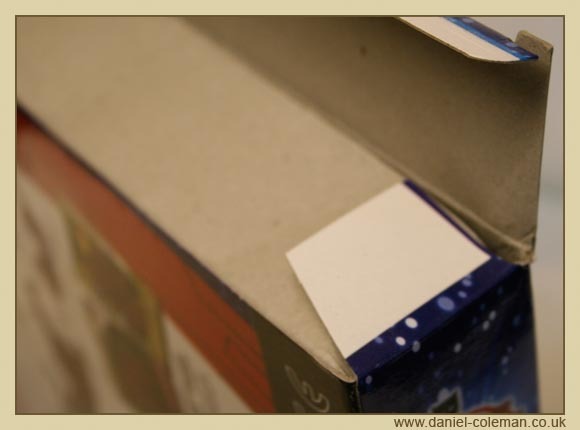 The box was of poor and cheap construction using thin card. 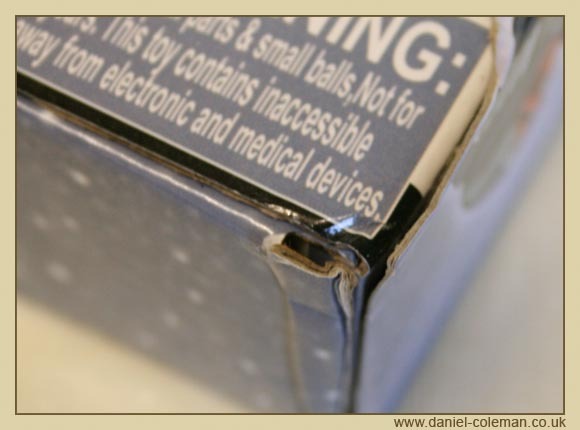 It opened from the sides and lacked an 'Open Here' flap. 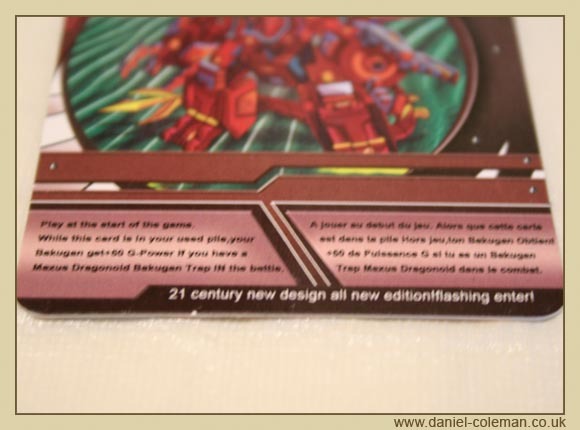 The instructions were littered with spelling errors and the box did not have a bar code, Spin Master or Sega Toys Logos or any official looking European referencces. 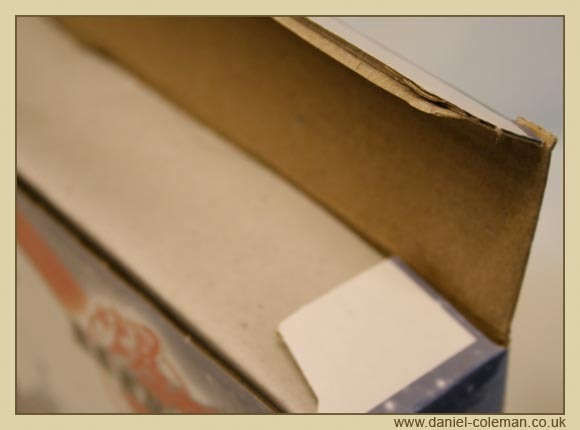 The box was of a small corrugated sturdier construction with poor bonding of the laminated printed surface. 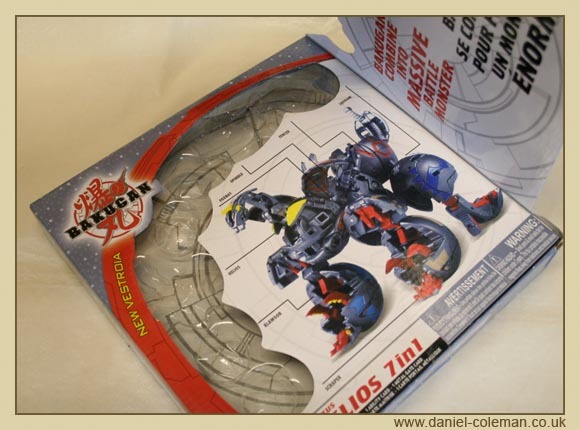 It opened from the top and had an 'Open Here' flap with a guide to contents. 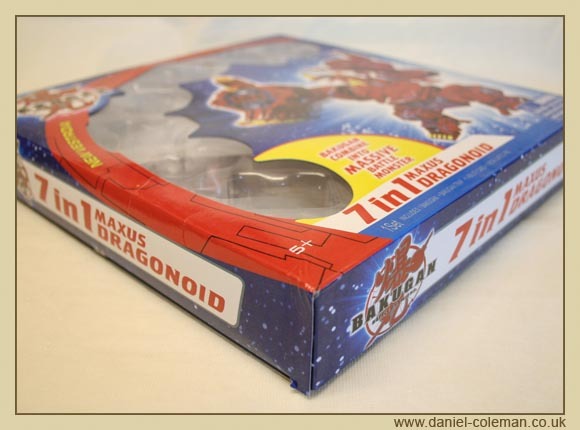 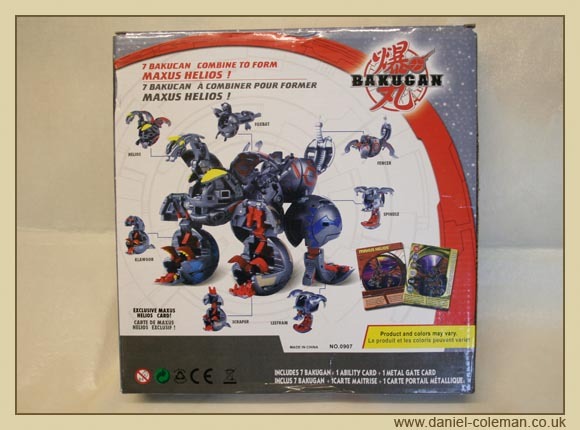 As per the Maxus Dragonoid, the box did not have a bar code, Spin Master or Sega Toys Logos or any official looking European referencces.